Should Medicare Cover the Cost of Brain Imaging Tests for Alzheimer’s Diagnosis? I’m at the Alzheimer’s Association International Conference (AAIC) in Boston this week, and one of the most discussed topics is the power of brain imaging tests to detect amyloid beta protein in the brain, one of the main hallmarks of Alzheimer’s disease pathology. 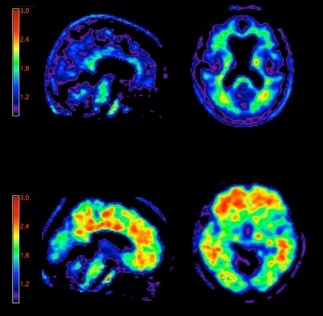 Positron Emission Tomography (PET) imaging tests can identify amyloid beta deposits in the brain by using imaging agents that are introduced into the brain through the bloodstream. These imaging agents bind to amyloid beta plaques in the brain, allowing for a sensitive and generally accurate measure of amyloid beta “load” or “burden” in the patient’s brain – the higher the amyloid burden, the higher the probability of an Alzheimer’s diagnosis, in combination with other measures like neurocognitive testing that confirms memory impairment. The technology and science behind PET imaging is very solid, confirmed through countless research studies and clinical trials. That’s the good news. Now for the bad news: PET imaging tests are an expensive diagnostic option, with an average cost of $3,000 per brain scan. On an individual level, it’s clear that many concerned older adults and family members would want the (probable) certainty provided by a positive PET imaging test result. Knowing with certainty that a family member has Alzheimer’s allows for proactive choices on care planning, medication management, patient safety, and many other positive benefits. On a national level, one of the elephants in the room is the potentially enormous cost of PET brain imaging tests, if used on a large scale. Currently, the Centers for Medicare & Medicaid Service (CMS), which acts as a gatekeeper for what Medicare will and will not pay for, does not cover amyloid PET scans for the purpose of Alzheimer’s clinical diagnosis. When CMS makes a decision to cover any new diagnostic test, the implications are important. Consider these Medicare numbers: according to the Kaiser Family Foundation, there are over 49 Million people on Medicare rolls as of 2012. Factoring out people under age 65 (SSI disability, etc), there are about 40 Million people age 65+ on Medicare. So, how many of these 40 Million Medicare enrollees might ask (through their physician) for an Alzheimer’s diagnostic brain scan in the future? That’s hard to say, but we can use a couple of guideposts to start: Medicare’s Annual Wellness Visit benefit (which includes a loosely worded “detection of any cognitive impairment”) posted a utilization rate of 9% in 2012, up from about 6% in 2011. Secondly, the CDC reports in a recent study that 1 in 8 people over age 65 report memory problems, or about 12.5% of all people over age 65. These are big numbers for potential Medicare funded amyloid PET scans. At the same time, several studies confirm that Medicare patients with Alzheimer’s or other types of dementia consume health care services at triple the rate of cognitively intact patients. The total cost of Medicare & Medicaid benefits to Alzheimer’s and dementia patients was over $140 Billion last year, and is expected to skyrocket over the next few decades. It would be interesting for the Alzheimer’s Association and other stakeholders to clearly lay out the economic benefit (mainly from reduced health care expenditures) of amyloid PET scans for Alzheimer’s diagnosis, along with other methods such as annual cognitive screening for memory impairment. Those who complain of persistent or progressive unexplained memory problems or confusion and who demonstrate impairments using standard tests of cognition and memory. Individuals meeting tests for possible Alzheimer’s, but who are unusual in their clinical presentation. Individuals with progressive dementia and atypically early age of onset (before age 65). The unanswered question, based on the above criteria, is what will be the net cost savings that can be realized through reduced Medicare and Medicaid expenditures for patients with Alzheimer’s and other types of dementia? 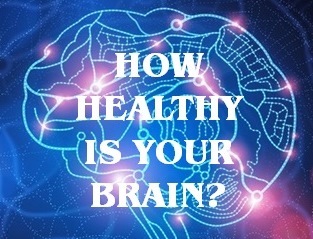 In the long term, a multi-pronged approach of early detection of Alzheimer’s biomarkers and symptoms, increasing public awareness on the importance of maintaining brain health, and finding the still elusive drug that alters or stops Alzheimer’s disease progression is the best course.